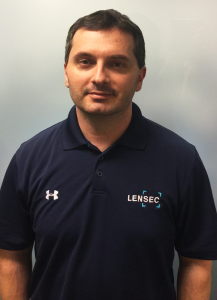 We recently spoke with Almen Didelija, Senior Applications Engineer and physical security specialist at LENSEC. 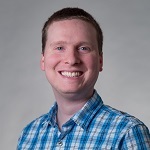 Almen shared details about the work the company is doing to monitor and protect vital equipment at remote work sites, and how Extrovert 4G-capable Logic Supply hardware will help their clients overcome the limitations of traditional networks. Logic Supply: Can you give us a bit of background on LENSEC? Almen Didelija: LENSEC has been a pioneer in IP security video since 1998. We’re a trusted security partner with experience around the world working with customers in education, government, public safety, energy, critical infrastructure, healthcare, commercial applications, and more. We help customers develop solutions for complex physical security projects using our enterprise-level video management software, Perspective VMS® (PVMS). PVMS is a browser-based software that streams and captures IP security camera video. The latest version uses HTML5 interactive features in a thin client application that is designed to provide real-time situational awareness. Video analytics and access control are integrated into the platform creating an ability to track behavior and movement while monitoring the live or recorded video. AD: LENSEC developed a solution that uses security cameras, Logic Supply ruggedized servers, and gate access control devices to monitor and protect remote sites. 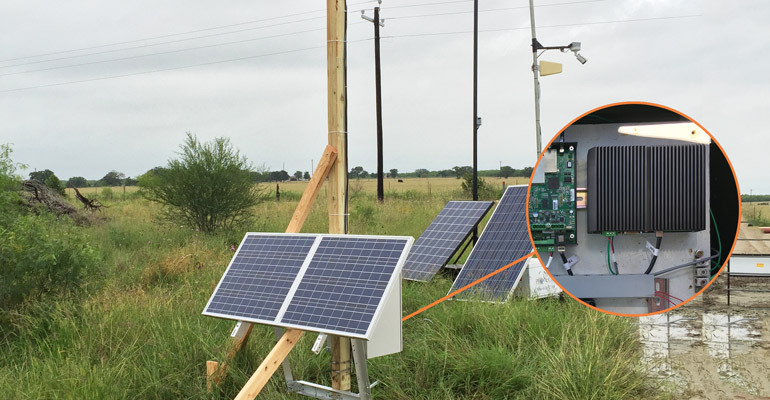 In rural locations with no buildings or power, the system employs solar power to run the equipment and charge the batteries. This solution was developed in partnership with one of the largest independent crude oil and natural gas companies in the United States. 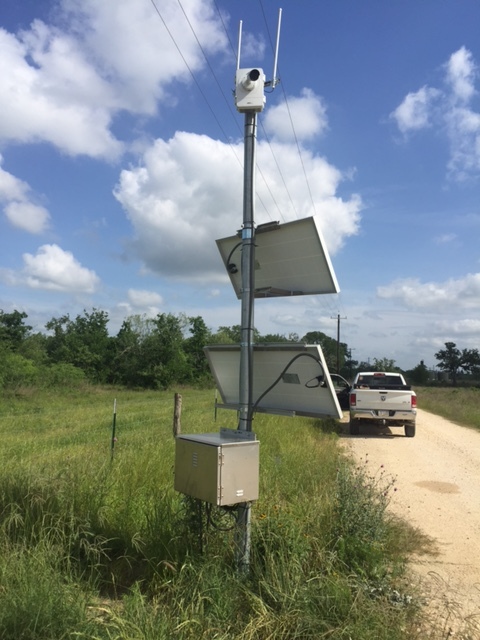 The company has numerous remote locations with equipment deployed in rural areas without access to standard infrastructure. These are locations without power or the ability to access a wired or wireless LAN connection. There are security gates at the remote sites to protect equipment, but the sites are not manned continuously. The client was looking for a way to monitor these locations as needed and be notified of activity around their equipment. LENSEC created a monitoring solution using CCTV cameras and equipment. 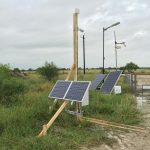 The solution needed to be able to run on solar power, withstand harsh conditions, and use a small amount of physical space. 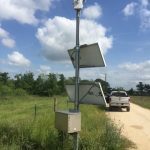 In addition, the client wanted to be able to receive notifications of activity at the site and pull up a live or recorded video stream to verify activity and respond appropriately. Because of the remote, solar powered nature of this installation, power draw is obviously of primary importance. The Logic Supply ruggedized mini-PC is ideal due to its low power consumption, specifications and size. LS: What excites you most about the this type of solar powered surveillance solution? 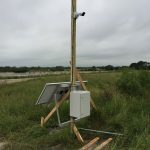 AD: This project is important in our industry due to the need for advanced surveillance technology in rural locations without appropriate infrastructure. Customers have struggled with this need for quite a while, and now technology is able to provide a solution with tools like Logic Supply’s ruggedized mini-PCs. LENSEC is relying on cutting edge technology for a remotely deployed solution. Previously, this type of solution came with an excessive cost, the size of the solution was large, and the power draw was too much to be viable for most customers’ specifications. Data transmission technology has also advanced to the point where video can be sent via a 4G LTE connection. Previous 3G cellular connections had difficulty in streaming quality video due to a lower bandwidth. Now the customer can access the video stream as needed and see optimized live or recorded video. The customer can also download the video remotely without needing to visit the remote site. This has greatly improved the operational efficiency for the customer. LS: What system did you select for this project and why? 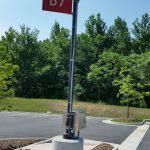 AD: The Cincoze Rugged Compact Fanless Computer (DI-1000 series) from Logic Supply, paired with Extrovert 4G LTE technology, was the perfect choice to provide a backbone for this physical security installation. There are several key features of the DI-1000 that are perfect for this solution. First, the Small form factor allows us to maintain a smaller enclosure and minimize the footprint needed for the installation. 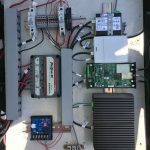 The low power draw is also ideal in limited-power installations, and the system can directly accommodate the DC power output of our solar solution. Environmental specs for the mini-PC are also very good, even in the South Texas desert. Air temperatures in the desert easily exceed 40°C. Even with heat buildup inside an enclosure, the ruggedized computer can withstand the extreme temperatures thanks to its operating temperature range of -40°C to 70°C. The solid state drive is also a great benefit because a mechanical drive would not hold up under the conditions of many of our installations, and it makes for better overall storage performance. Multiple Ethernet network connections in the PC allowed us to eliminate the need for an external network switch. This helped to keep power draw to a minimum. The Ethernet ports in the server provide Power over Ethernet (PoE) to the IP security cameras. The fact that 4G LTE is built-in with the Logic Supply Extrovert solution was a key factor in our decision to use the DI-1000 PC. Previously, LENSEC had to use an external router which caused crowding in the enclosure and increased both power draw and heat buildup. This efficient Extrovert solution connects to the 4G LTE network to reliably deliver bandwidth-intensive streaming video. We’re also able to choose which LTE service provider best fits our needs for a particular customer location. LS: Can you tell us a bit more about Perspective VMS? 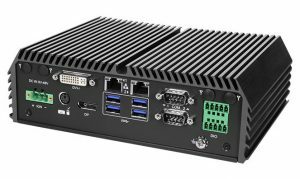 AD: LENSEC provides our Perspective VMS® software installed on the Logic Supply ruggedized computer. The computer can then be accessed remotely to view a live camera stream and review recorded video from the remote site. Advanced notification is available using PVMS workflow tools. The system can be programmed to notify personnel when a gate is activated. Personnel can then take immediate action to prevent damage to equipment and remove unwanted visitors from the site. 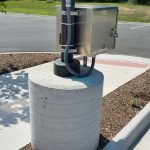 The system essentially acts as a force multiplier since one person can monitor many remote sites simultaneously using the LTE connections. LS: What advice would you share with companies looking to implement a security solution like this? AD: In general, I’d say that the full spectrum of physical security often goes unconsidered until it’s needed. When the perpetrator breaks in, or an emergency occurs is when people react, question security measures and begin to make changes to more effectively secure their infrastructure. Good security is considered and implemented in advance by an experienced security team to keep people and company assets safe, well before a problem occurs. It’s important to carefully consider the hardware you deploy and ensure that dependability and feature set are scrutinized. This is an interesting write-up. It’s always nice to see what other folks are up to in the industry. We’re glad you enjoyed it Dave! Do you work in the security industry as well?